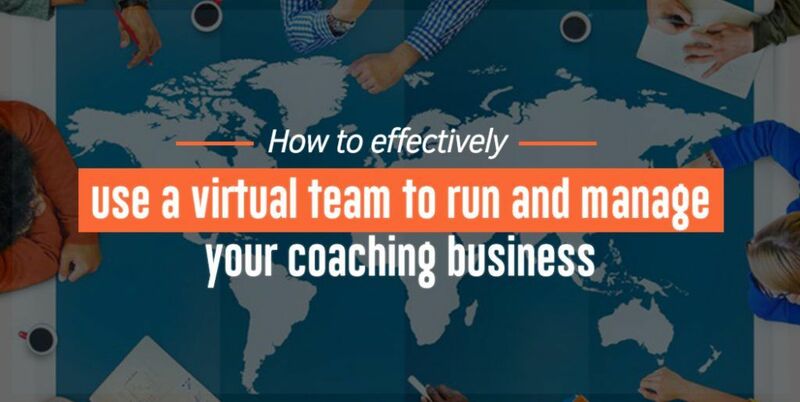 Building and developing the right virtual team can make or break your business. If you choose the wrong people, they can destroy what you have spent years building. On the flipside, the right people, bought into your vision, can elevate and scale your business more than you could imagine. The four ways to know that you are ready to start outsourcing. The key benefits of outsourcing. How to figure out what to outsource in your business. What to consider before, during and after hiring your team. So, what do I mean when I talk about outsourcing and virtual teams? Outsourcing is essentially obtaining products and services from an outside supplier. A virtual team or virtual assistants are people help support your business in a variety of functions but are location independent. So right now in my team, I have different people across the world who work on various projects. We are connected through virtually, have regular meetings through video conference and collaborate in real time via cloud software. This…is the new way of doing business. Virtual Assistants can cover anything from administrative, social media, graphics, to customer support tasks. But the main thing here is that the role is a virtual position. When talking with clients and other business owners, the three common reasons I hear from people on why they haven’t started outsourcing is that they are “not ready”, “can’t afford it” or “I can do it faster myself”. If you’re not earning a lot of money in your business, it might feel counter-intuitive to invest in additional team members, however, the reality of this is not true. If you have a desire to grow and scale your business, you are actually limiting your growth potential by trying to do everything yourself. When it comes to the money bit, look at this way, how much extra money are you able to make now by yourself if you have no more available hours? Additional support will allow you to you release some of that workload and begin to focus on the high-value activity in your business. When I went from having a virtual assistant for 5 hours a month to 10 hours a WEEK, that produced a huge shift in my business and mindset in terms of what I was able to now release and the income I was now freed up to generate. Is it no surprise I was able to leave my job 4 months later! And finally when it comes to the old excuse of “I can do it much quicker”, yes maybe you can, but for how much longer and what are you sacrificing in its place in order to complete this task. At the beginning sure you will have to spend time training someone and bringing them up to speed, but once they get it, life is good for you now. 1) You have run out of capacity. There are so many hours in the day and if you are finding yourself working 80 hour weeks and things are still not getting finished, it’s time to evaluate what you’re doing in your business and whether you are the best person to do that task. 2) It is a task you are not able to do. Rather than spend hours trawling through Google and Youtube, trying to figure it out yourself, you pay someone who is an expert to do it for you and they complete it far quicker. 3) It is a task you don’t like to do. There are some things we just don’t like doing in our business, but yet are important activities, which if we neglect can have a detrimental impact. For me, that is invoicing, chasing up payments etc. If you feel the same about certain activities, outsourcing them is then the way to go. 4) You want to grow and scale your business. As I said above, you can only do so much when it’s just you. Bringing in additional support helps to free up more time and create more opportunities for you in your business. You are also supported more in your business and are able to create better workflows, synergies, and efficiencies. As the CEO in your business, you need to know where to focus your time and energy for maximum return. Low-level admin tasks should not be replacing high-value marketing and sales activity which is a high priority for any business. You will know what are the high-value tasks, but too often you are unable to spend your time doing them because you are bogged down with a low-level activity which you SHOULD outsource. The first task I outsourced in my business was social media, websiWordPressess work and admin tasks. I went through a number of different people before I found someone who was reliable and she stayed with me for a year. If you decide, “okay it’s time to hire someone,” where do you even start? Well, I recommend you spend some time to get clear on what your overall vision and goals are for your business. From there, you can start to design what your business will look like in terms of the various tasks and roles. The third list is the game changer because so many coaches are doing things they shouldn’t be doing, even if it is something they enjoy. Just because you CAN do something, doesn’t mean that you should. Take these identified tasks, and start to pull together a job description or project outline for what you want help with. You want to create a really clear job description so that you can confidently go out recruiting, knowing what you are looking for. My current assistant is a member of my free Facebook group, and when I posted I was looking for an assistant, she applied. Initially, I had never thought about reaching out to my community. But the benefits are huge. These are people who have already bought into your brand and more often than not, excited at the opportunity to get involved. My best VA to date was a girl I met on a group coaching program. I liked her attitude and personality inside the Facebook group, and when she announced she was starting up a VA business, I approached her about working together. Consequently, she was with me for 9 months. I have found a number of GREAT people from these groups. But be warned: you WILL get inundated with posts when people apply. Who do you know? Who do the people you know, know? Ask around but remember to still do your due diligence. Just because someone is referred does not mean that they are perfect or without fault. Still, ensure that he/she is the right person for the job. This is great for one-off jobs or specific things if the above options are not for you. Price and experience vary, but this is where I started. I’ve had a few good experiences and some not so good ones too! I like to initially connect with prospective candidates through Skype, we chat and then have a conversation. I am interested in understanding their background and experience, why they want to work for me, what they can bring to the table and anything that might have an impact on their work including time zone conflicts. For example, some of my team members are moms which mean they effectively work flexi-time (aka any free time they have), now this is not a problem for me (I have two kids of my own), as long as the work gets done when it is due. But knowing that I have a team member that has children, gives me context to their working environment and expectations. Once I am happy with the interview process, I give them a real piece of work from my business to complete. I do this for many reasons; I want to validate their experience claims, but I also want to see what it is like working with them, how they communicate and react situations – oh so important. Once that job is complete and I happy with the outcome, they come onboard properly as part of the team, which includes signing a contract, NDA and a welcome pack (which includes their job description and a personal welcome from me). Managing a remote team can b a challenge. Communications is key both individually and as a team on the whole. It is important to connect with your team on a regular basis. I meet each of my team members weekly. In between those sessions, we communicate via Slack and manage our projects via Asana. Each team member also has KPIs (key performance indicators) which are targets we have agreed together and track in their 1:1 sessions. It is important to note that building a team is as much about the people as it is you being a good leader. There will be challenges, so it is important that you are clear on your values and boundaries. Also, know that this is business and nothing is personal or at least it shouldn’t be, hence why having clear objectives and KPIs removes any emotional elements from work conversations. Be clear on your overall vision for your business and how this role fits in. Advertise for the role and not the title. For example, “I need someone to assist me with creating a new landing page in Clickfunnels and webinar sequence,” rather than I need a Techie VA. Decide on what things are important to you for the role – location, experience, cost etc. SOP the heck out of your business ie. get your systems in place and create Standard Operating Procedures. This continues to be a work in progress as my business continues to grow, however bringing in team members FORCED me to get organized in this area, from what tools we used right through to the actual steps we take to do a particular activity. The benefit of this is that you stop being the block in your business and other team members can help each other out. Be clear on expectations from both sides. Cultivate strong communication throughout the process and when working together. Give them a test project before moving into a retainer. The right team can propel your business forward so much, and I want you to use the tips above to ensure you get the right people, the first time.